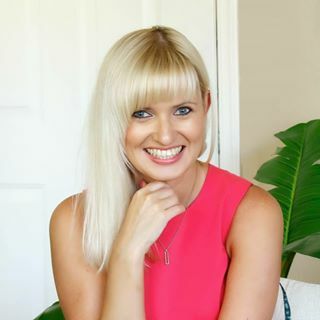 Hello-hello! 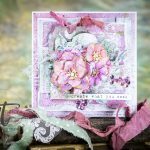 Welcome back to the Spellbinders blog. 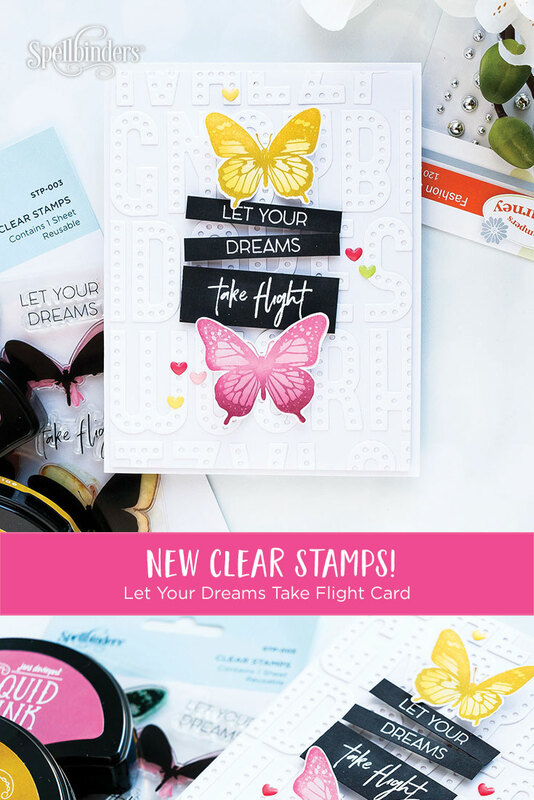 Today we are thrilled to introduce something new & exciting – a collection of Clear Stamps! 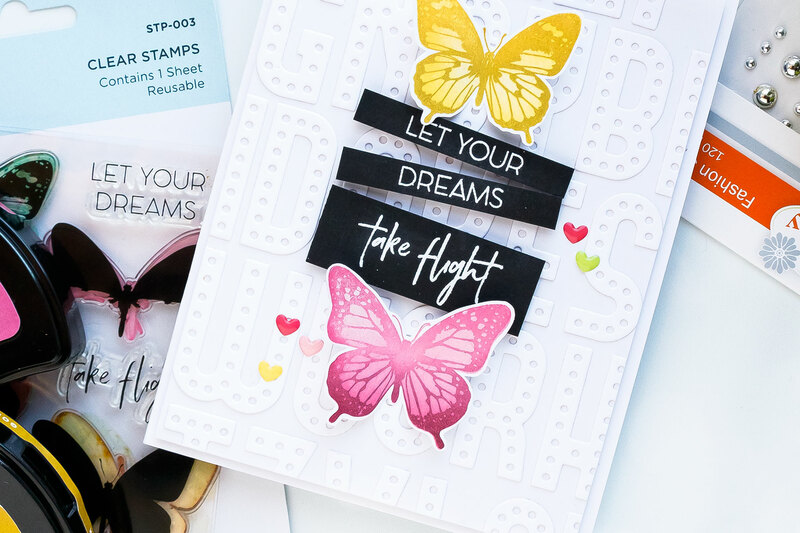 We’ve been wanting to release a line of stamps to give you more creative options and also to provide you with fun sentiments you could use on your cards! 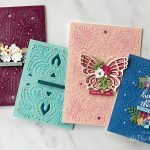 You can see the entire stamp collection in our store here or watch our introductory video below! 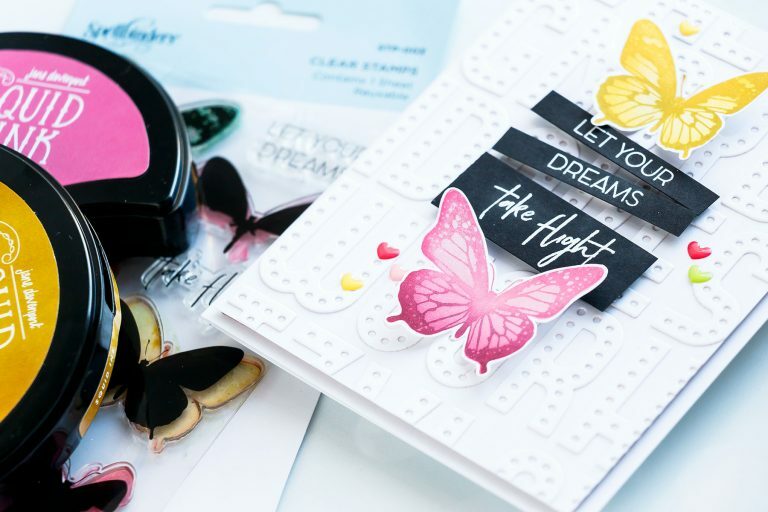 Ready to start creating with these? 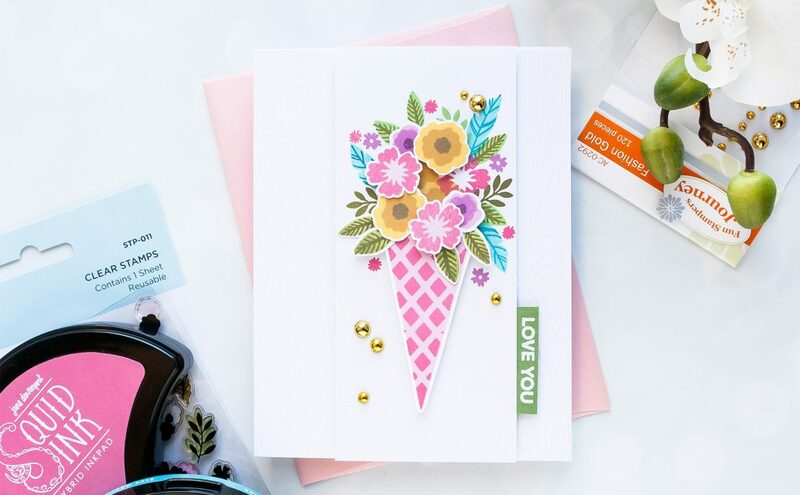 Catch a super simple card idea below (and be sure to stop by our blog later this week for more creative inspiration)! 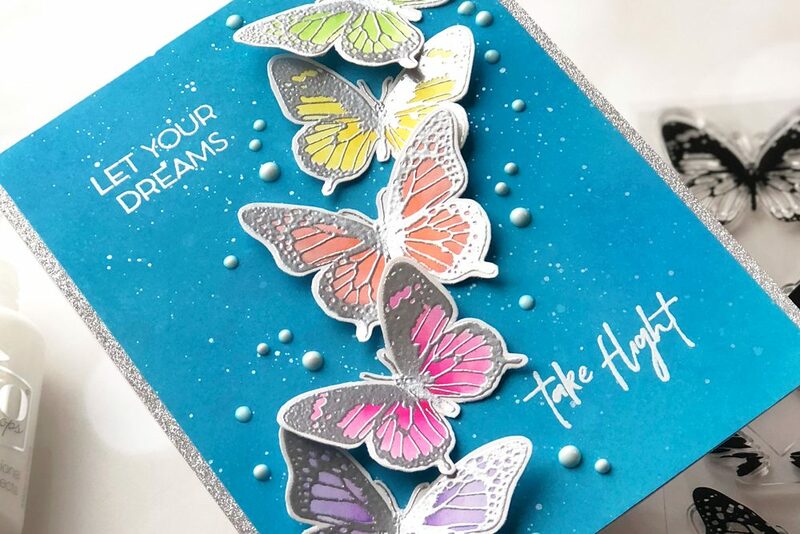 I used new Layered Butterflies stamp set along with our Deco Bold Alpha dies to create this card. 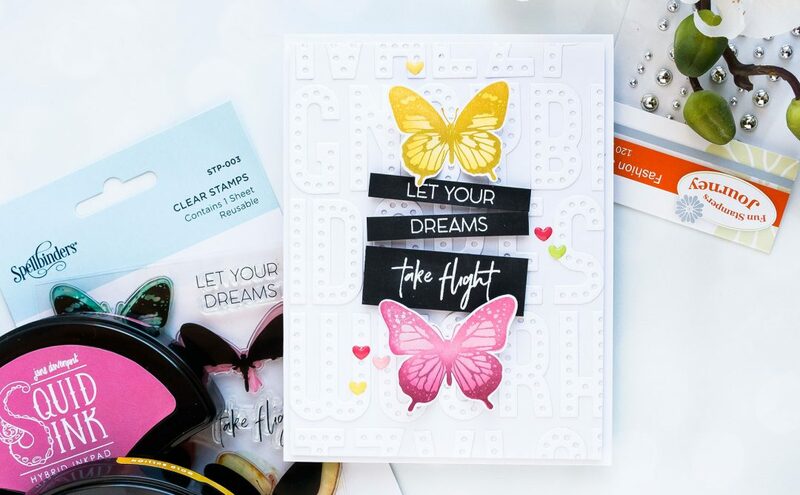 I started by stamping butterfly images in 2 shades of pink and 2 shades of yellow ink. 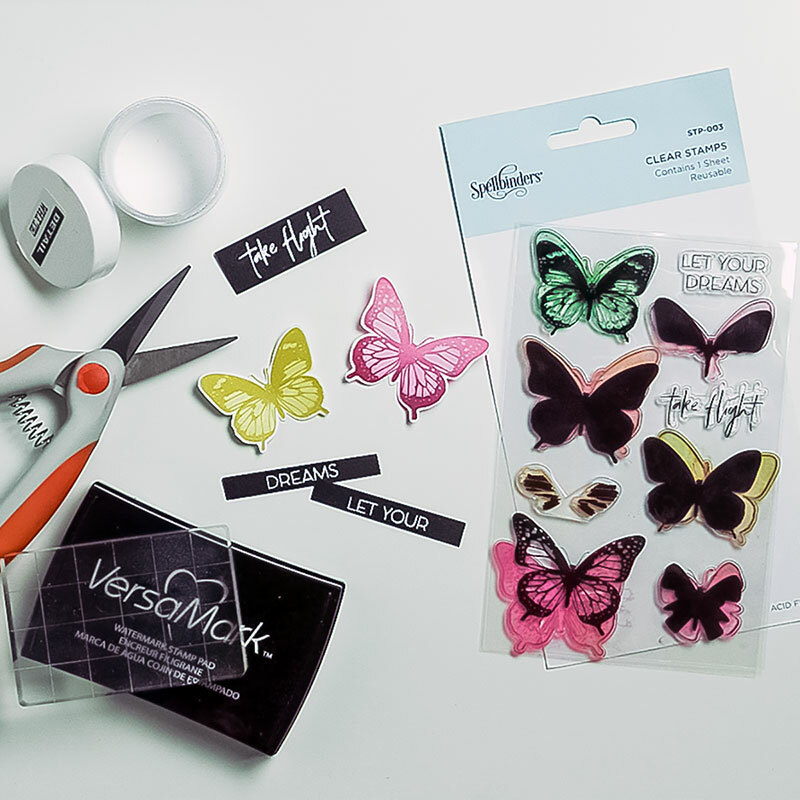 You’ll need to use a lighter and darker shade of the same color to achieve beautiful results. 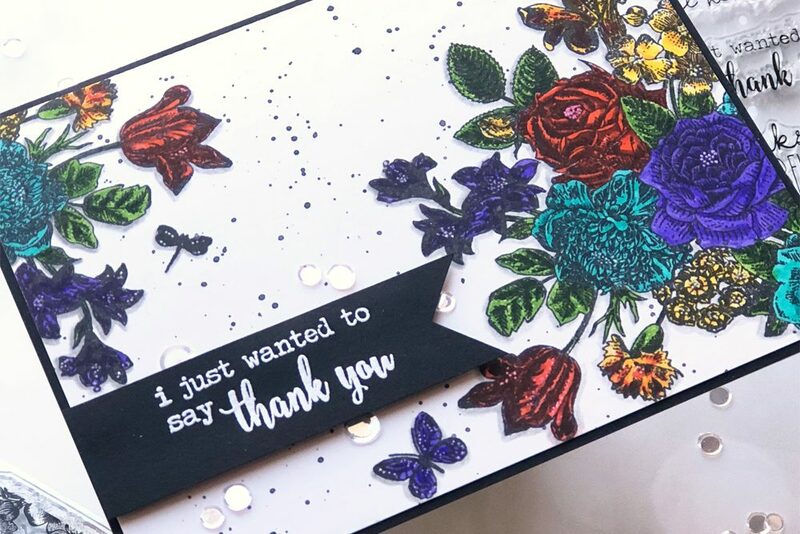 To create a background for this card I die-cut random letters from the Deco Bold Alpha dies out of white cardstock and adhered them onto a white cardstock panel cut to 4 x 5 1/4″. 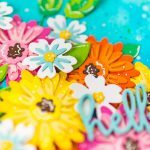 I foam mounted this panel onto an A2 white side folding card base. 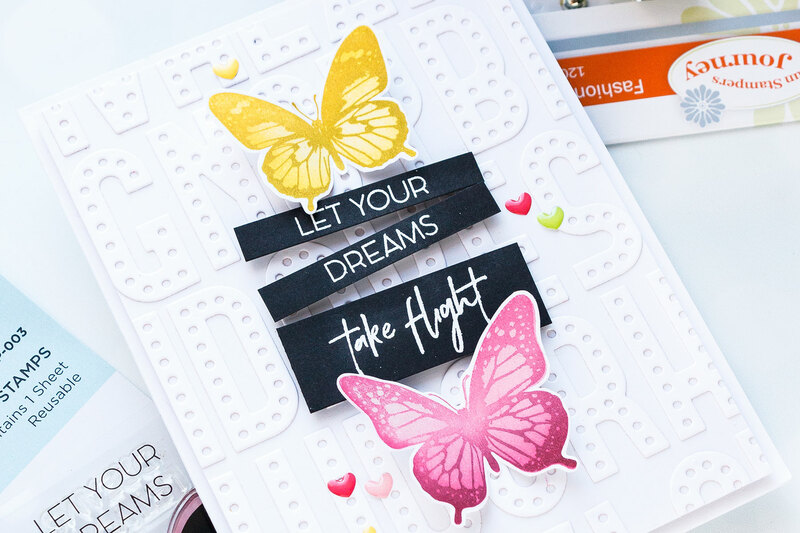 Next, I white heat embossed “Let Your Dreams Take Flight” sentiment on black cardstock, cut into strips and using black foam adhesive foam mounted onto my card. 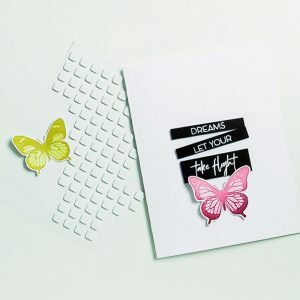 Finally, I shaped my butterfly wings and adhered them onto my card using glue. 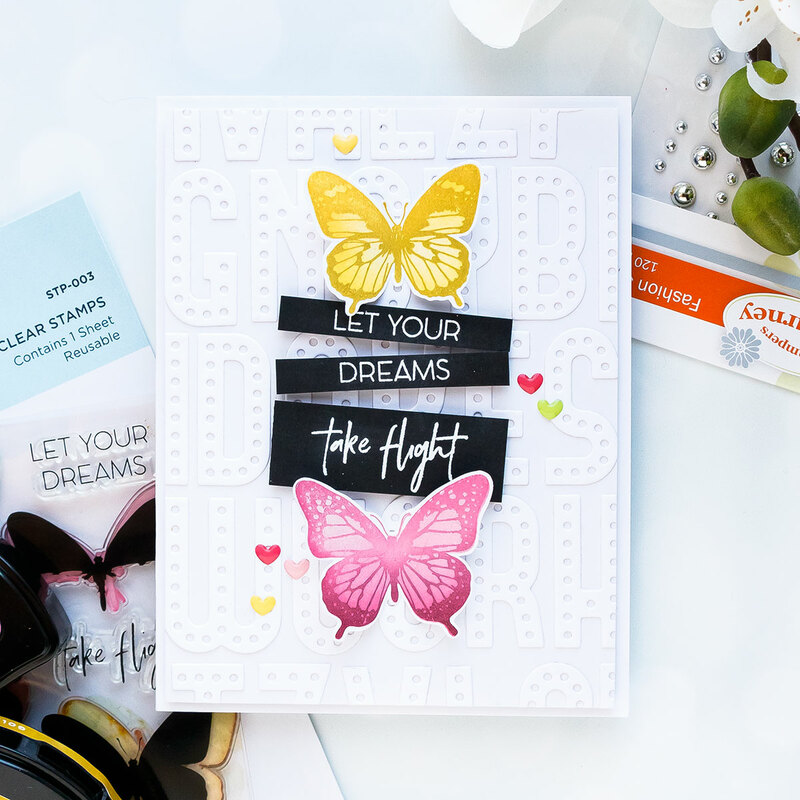 To embellish this card and add tiny pops of color I used enamel hearts in pink, yellow and green. Doodlebug Enamel Hearts; Anti Static Powder Tool.